It takes knowledge of what you are buying if you want to buy remanufactured engines correctly on the Internet. We’ve seen what is out there being sold online and we know the challenges that you face. The only thing we can do is to help educate you on what you should find in a high quality engine. We feel this will help you to make the very best decision that you can. No one expects to waste money when buying and engine and we’re here to help make sure that doesn’t happen. We care about what we sell and what you put underneath your hood. Price should never be the first factor that you look for when researching an engine to buy. This is because pricing put out by some retailers is actually meant to fool you. You have probably seen those websites that advertise rock bottom pricing for an engine that you know should cost 25% more. The bait and switch tactic actually happens during checkout. The shipping price is never added in the selling price. The low price that is advertised will no longer be low when the cost of shipping is added. You should know a little about the company where you will buy your engine. Make sure they are near the top position in Google. The mileage that is on a rebuilt engine is very important. Not every dealer publishes the mileage, but will tell you when you inquire about it. 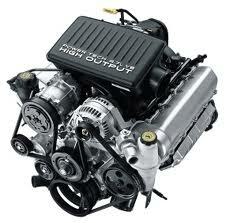 There are many used engines that are passed off as remanufactured engines. A used engine will remain used unless it is expertly rebuilt. We rebuild engines, like these, and take off any bad parts and exchange them for new ones. This is what remanufacturing means to us. We not only put on new parts, we test each engine to verify the mileage and to make sure that there are no hidden problems when the engine arrives at your doorstep. Getting a warranty with your engine is hard to find these days. Many engine dealers take your money and move on to the next person. There is no such thing as after purchase warranty service. When we sell remanufactured engines to our customers, we include our standard 36-month warranty. This is to ensure that any issues that happen with the OEM parts that we install will be taken care of by us. We don’t turn you away if you call us with a warranty claim. Our experienced engine mechanics will make sure that your engine is fixed and that you will get the reliability that you expect. We give you two ways to get our low priced engines for every make and model. You can call us toll free at (336) 355-5679. You will speak to one of our experts that knows everything there is to know about our engines. You don’t speak to a secretary or answering service. We patch you right through to an expert. You can use our online form to get our low price. Whatever way you choose, know that you are buying from one of the most trusted and respected engine dealers on the Internet. We take care of you.